Here are some HubSpot COS Design tips for those of you who want to optimise the User Experience (UX) when integrating HubSpot forms into your site. These tips also work if you are using WordPress. Content jumping around the screen after rendering the form that's distracting to the visitor. So, let's tackle the tricky one first. Do not use HubSpot's Website Grader to test your site – it always gives you 100% if you use the HubSpot COS and that is less than helpful. By adding the "defer" tag you can delay the loading of the form until the page has rendered – improving the User Experience (UX). Add the defer tag at the end of the form code you got from HubSpot. Read more about the Script Defer Attribute at W3 Schools. Not all scripts can be deferred – test to make sure this works for you! You can see – highlighted in white – where we added the defer attribute, the onload call and the new targeting line. WARNING: I'm self taught so if you see any blunders please let me know. When the form loads it doesn't render immediately – whether you load using the normal embed code or not. What happens is any content below your form renders first, so when the form finally loads (we're talking fractions of a second really) there is a jump as the div extends to display the form. When elements on the screen are jumping around unintentionally it's distracting to the user so by deferring the load and setting the minimum height of the div you can improve your user experience. This is useful even if you don't implement the first tip. You will need to fiddle around a bit to get your height right. And, because it's hard coded if you change the CSS later you may need to tweak the height (I aimed a little over so a few pixels difference doesn't matter). Sometimes you'll want to add more than one form to a page e.g. a Contact Form and a Newsletter Subscription Form. We recommend using the Form ID as the ID for your div so you don't have any ambiguity. 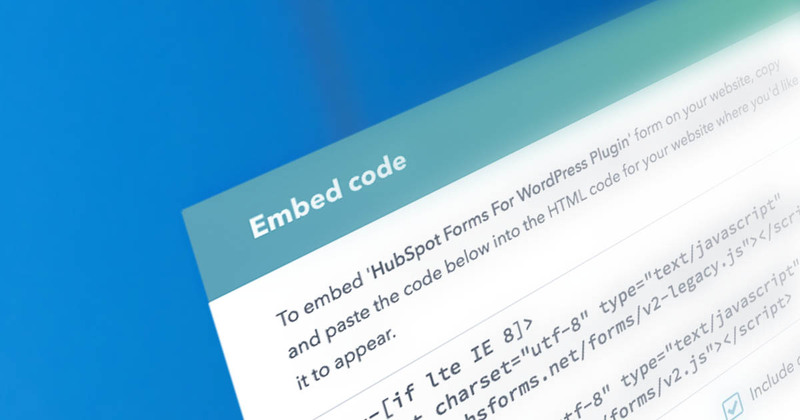 For more information on the HubSpot Forms read How to customize the form embed code on the HubSpot website. If you're not seeing your form on your page you can inspect the page with your browsers developer tools. Usually you'll see an error that will help you debug the issue. So, why are these HubSpot COS Design Tips important? User Experience is extremely important. An inexperienced visitor may not notice these small delays and distractions enough to explain what happened. An experienced person (like you and me) does notice and can point them out. When we make these two small tweaks we improve the User Experience for everyone.